Sexual harassment and sexual assault are pervasive issues that impact nearly every woman in modern society. In the United States, 40–75% of women have experienced workplace sexual harassment, while more than 1 in 3 women have experienced sexual assault. While statistics prove the ubiquity of these traumatic experiences, the association between sexual harassment and assault and health factors such as blood pressure, mood, anxiety and sleep have remained largely undetermined. “With recent popular movements (eg, Me Too, Time’s Up), there is rising public awareness of sexual harassment and assault and their implications for women’s health,” wrote Rebecca C. Thurston, PhD; Yuefang Chang, PhD; Karen A. Matthews, PhD; Roland von Känel, MD; Karestan Koenen, PhD in their study, “Association of Sexual Harassment and Sexual Assault with Midlife Women’s Mental and Physical Health,” published in JAMA Internal Medicine. The timely study sought to investigate this association, determining not only that these experiences are, in fact, common among midlife women, but that that sexual harassment was associated with higher blood pressure and poorer sleep while sexual assault was associated with poorer mental health and sleep. While sexual harassment and assault have long been associated with adverse physical and mental health, the researchers recognized that previous studies were limited due to their dependency on self-reporting, which can often be flawed, as well as the incomplete consideration of critical confounding factors, according to the study. In this study, the association was gauged by blood pressure, depression, anxiety, and sleep quality—key issues impacting women aged 40 to 60 years, the key demographic in this study. 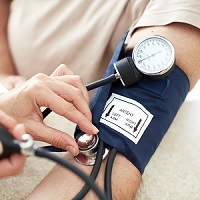 “Elevated BP is a major risk factor for cardiovascular disease (CVD), the leading cause of death in women, and an important indicator of risk among midlife women who typically develop clinical CVD later in life. Depression and anxiety show a doubling in rates in women relative to men, and up to half of midlife women report problems with sleep,” the study reads. Women who have experienced sexual harassment had significantly higher systolic BP (SBP), marginally higher diastolic BP (DBP), and significantly poorer sleep quality than women without a history of harassment, after adjusting for covariates. Strikingly, the magnitude of increase in SBP observed in the present study associated with a history of harassment (approximately 4 mm Hg in SBP) is clinically significant. Additionally, harassed women not taking antihypertensive agents had more than 2-fold increased odds of BP consistent with hypertension. Sexual harassment was associated with significantly higher likelihood of stage 1 or 2 hypertension among women not taking antihypertensive medications and of poor sleep consistent with clinical insomnia. Survivors of sexual assault exhibited higher depressive symptoms, anxiety, and poorer sleep quality than women without a history of sexual assault, according to the study. Considering the staggering frequency of sexual harassment and assault among women of all ages, understanding the resulting medical conditions is imperative to the proper recovery of survivors. While this study takes significant steps towards establishing the association between these traumatic events and key health issues, researchers conceded that future work should consider whether preventing or mitigating sexual harassment and sexual assault can improve women’s mental and cardiovascular health. “Given the high prevalence of sexual harassment and assault, addressing these prevalent and potent social exposures may be critical to promoting health and preventing disease in women,” the researchers wrote.